The Bangladesh hackers from hacker collective known as "Bangladesh Grey Hat hackers(BGHH)", claim to have hacked and defaced more than 1400 Indian website in Memory of 15-Year-Old Girl . 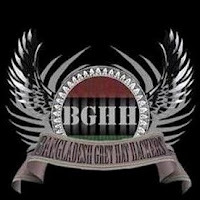 "Today is the first anniversary of the Death of "felani"..
Felani is poor girl from Bangladesh who is brutally kiled by Indian border guards [bsf].." hacker said in an email sent to EHN, . "On this occasion, we strongly condemn the activity of bsf on our border.They are daily killing our people brutally." The hacked sites includes The Institute for Development and Communication (IDC) , Tutors Educationa's official website, Software Technology Network, Indian Meridian Security Force, Architect Kerala and more sites.